Just like the game pickup sticks, but with place value! 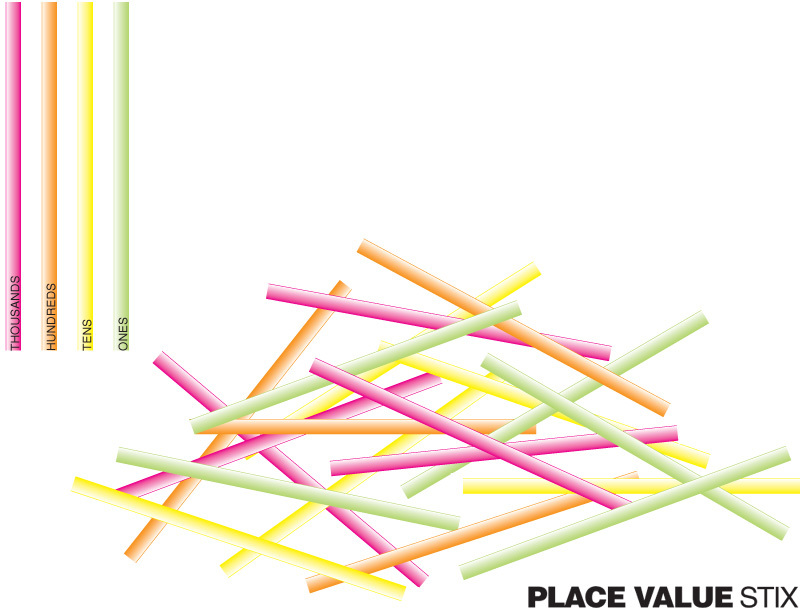 Grab a bunch of colored drinking straws, four different colored straws to represent the ones, tens, hundreds, and thousands. Cut the bendy part of the straw off. Hold the straws upright in a bundle and drop them to the floor. Kids take turns trying to carefully pull a "stick" out without moving any of the others. If they move any of the other sticks, they lose a turn. When all of the sticks have been pulled from the pile, figure out your number (example left). Whoever has the largest number wins! Visit Family TLC to see how to incorporate decimals! What a great game to play that is also educational! 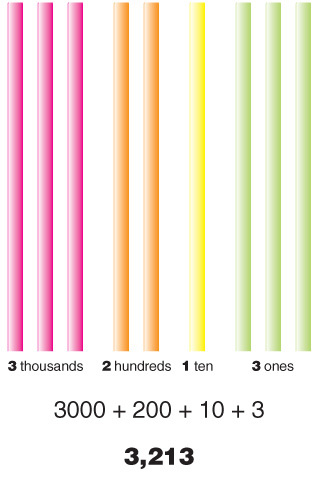 I like the idea of using colored straws it's a very inexpensive way to teach your students place value. Thanks for sharing!